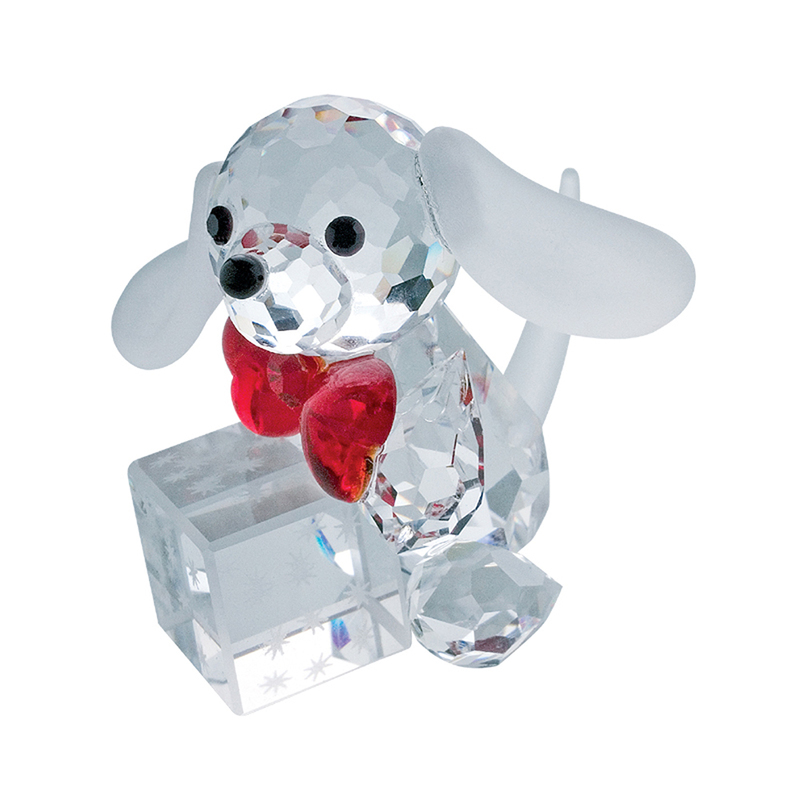 This Crystal Puppy Dog Figurine with red bow tie has a Christmas gift just for you but then he would like to be a christmas gift himself. This adorable miniature measures 1.2 inches x 1.2 inches in size and was made with genuine Bohemian crystal and manufactured by Preciosa, a world-class producer of fine crystal. This arrived in pristine shape - love it and it's even better looking in person than on their website. My grandson will love it! thanks!